Many, many people love bacon, and it’s been quite the rage over the last few years. I’m no exception. My mouth starts to water at the smell of bacon cooking! I love it, but until recently I’ve chosen to not eat it. I’m a label reader. I don’t buy food that contains artificial ingredients, and I don’t buy foods with chemical additives. In the past, I’ve known bacon to be one of the worst offenders. Fortunately, a friend of mine recently told me that she buys uncured bacon and it doesn’t have any of the additives I’ve been rejecting it for. Whoopie! Off to Trader Joe’s I went and found their uncured bacon line-up. I grabbed a package and happily made it for breakfast the next morning. Perfect. Since then, I’ve found most grocery stores now carry uncured bacon…Good to know. 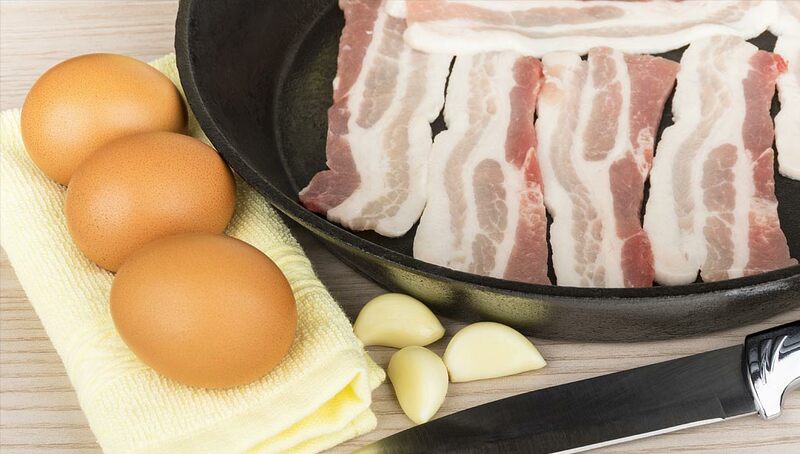 As is my habit, I don’t take my own experiences as the last word, so I ventured off to the Web to find some more in-depth information about cured vs uncured bacon. First of all, I found that all bacon is cured by some type of method so it won’t spoil rapidly. It’s how it is cured that makes the difference to our health. It’s nitrates that are the bad guys here. Not the naturally occurring nitrates like those found in celery and other vegetables, but chemically created nitrates. So, the health-conscious part of the bacon industry, instead of using artificial, chemically created, potentially cancer causing nitrates, is cleverly curing their bacon with celery juice or the like and calling their bacon uncured. I don’t care what they call it, I love it! Also, just an aside, I love to prepare bacon in the oven, but to avoid making a mess I cook it on a baking sheet with the surface covered just to the edges with aluminum foil. I put it in a 350 degree oven for around 15 minutes, or until it reaches the color of doneness I want. Then I transfer the bacon to a paper towel and end up with perfect, crispy bacon with no cleanup other than carefully folding up the cooled aluminum foil with the residue of bacon grease on it and throwing it away! Happily for me, bacon is back to being one of the foods I again enjoy and allow myself and my family to eat. You can read the article I chose for you below. It covers cured vs uncured, but it also talks about the myriad of flavors that are added to bacon. Some ok healthwise, and some not so much. Bacon lovers, unite! Check out the linked article….